It's pretty much been taken over and raped to death by the mainstream. It's happened with every medium so far, in a similar if not the same fashion it's happening in this industry. Dumbshits who know gently caress all about gaming, at the head of major corperations, were just waiting for gaming to go mainstream. Basically instead of awesome mom and pop burgers we're getting mcdonald's burgers. Except these dipshits are worse than mcdonalds in that you have to buy everything seperately, defeating the purpose of fast food entirely. Someone needs to let the assholes on top that if they're going to push out more of an inferior product they can't charge MORE than they used to. Used to as in a time where the industry wasn't a giant whore. Who spent mommy's money? Either way I like it. We all want the sequel, and I'm sure they want to make it as well. We are in a strange new world of gaming though... things are being milked longer than ever, because they can. 10 years ago, it would be absurd to port it from system to system, or release DLCs like they do, but now it is the standard business model. I would expect a PS4 port as well, except Microsoft would never allow it. I don't know how to feel about this new world... it is good in a lot of ways, but sometimes it feels like some magic has been lost. They're converting the game to a new system with graphical upgrades. How does that not make sense? What in the gently caress are you talking about? "raped to death", "giant whore", I think you have problems kid. I am the real hero here. I really want to see some of those graphical updates. I would love to see an upgrade option for existing users though. Wasn't this game originally released as a bit of a gamble on xbox live arcade? As in, it wouldn't really exist if not for the current industry model? I didn't say it was all bad, though NeoSeeker did take things a lot further than I did. 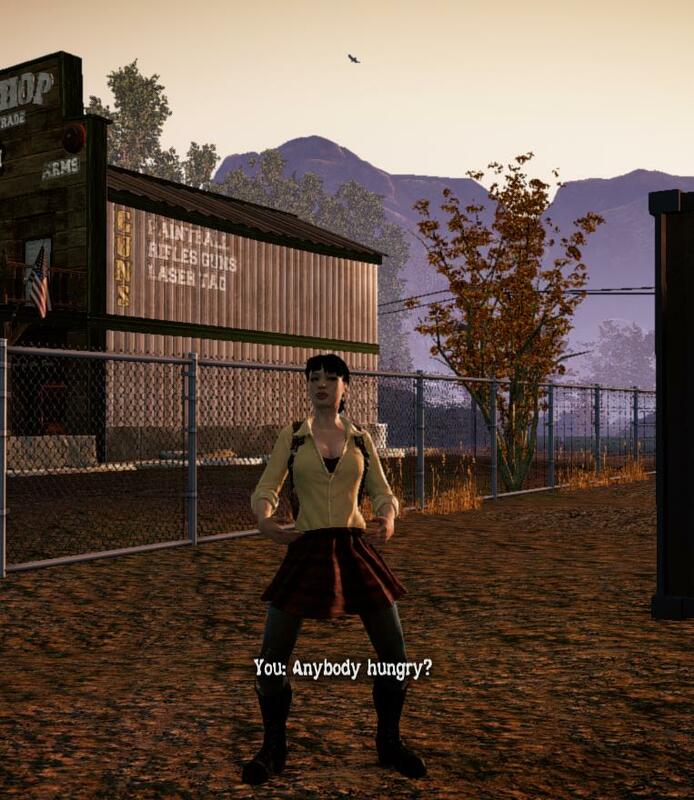 That this model has worked well for State of Decay is one of the good things. I'm also certainly not against better graphics & bug fixes. But I think NeoSeeker brought up one good point, pricing. A lot of games are still using pricing models from the 1990's, when it isn't really appropriate. Take Borderlands: The Pre-Sequel for example. It is using largely the same engine as Borderlands 2. Most of the same assets. Sure, it has 4 new playable characters, and more missions, but is it a full, $60 title? I don't know. I know I'm not going to be getting it on release, and I've got over 300 hours in Borderlands 2. This as well, people who bought it on XBox live arcade should get the Xbone version for free, or at a steep discount. Charging full price for another port of a digitally distributed game doesn't make any logical sense, aside from greed. All other arguments don't hold up. Finally beat vanilla today. It's so weird but the last mission if you've done a basically compotent job it's super easy. Granted I don't want or like super hard you need to suffer modes, so I don't meant to complain. I do look forward to playing breakdown since iirc there isn't time limited missions it's pure sandbox. I also look forward to revisiting Lifeline too. Game was so much fun. I'm on Breakdown Level 4 for my second attempt, and I've got a fairly useless survivor (bum knee, pack a day) who I gave a shotgun and 120 rounds to, and basically am playing him as a guy who shoots first and doesn't swing his wrench. I have to say, it's been pretty fun having him running from throngs of zombies drawn to his shotgun fire- it's an interesting challenge compared to my Magnificent Seven survivors, all of whom have maxed out wits, cardio, fighting, and shooting and who never roll anywhere without at least two full magazines, a suppressor, and a bunch of incendiary devices. Vanilla does have that problem where the further you get, the easier it gets unless you artificially challenge yourself. Breakdown introduces that challenge with higher levels, which brings harder zombies, less resources, and nothing to slow you down like any plot unrelated to getting that loving RV fixed. There still ARE missions in Breakdown, and they are time-limited. But I generally ignore the ones I don't want or need to do. Knock out a special zombie? Sure, lemme bring a car and run it over. Defend against a siege? gently caress. OFF. That sounds like a good idea, take a waste person I don't intend to bring forward and just see what my guns can do. I would do a similar thing when I wanted to get rid of people from my group. Except I would just give them a few snacks and a crappy melee weapon. Then I would see how far I could take them. Managed to kill 3-4 ferals and a few dozen zeds once. Breakdown is pretty great. Someone (very likely earlier in this thread) described vanilla as basically an extended tutorial for Breakdown, and that's a good way to put it. I had an Enclave with the "Besieged" mission sitting on the map for the last few days. Other missions came and went, and I actually ended up meeting another enclave just down the street from that one. Earlier today, I went over there to see how they were doing with their siege that wasn't actually a siege yet and noticed that the trust bar was almost full. I figured "maybe this will be the last mission before they get full trust and I can recruit them, then send 2 of the 3 off to die because they're going to be useless drains on my supplies." So I went to my nearby police station outpost, loaded up on shotgun shells and fire, and did the mission. Of course, after ten minutes of hammering planks over windows, setting the survivors (and myself) on fire, and shooting zeds in the face, the trust bar only rose by half of what I needed. Then, as I was headed back to my nearby truck, I saw the second juggernaut on the road. Well, it's more accurate to say that he saw me. I still had about 15 rounds for my shotgun, and 2 molotovs left, so I figured it wouldn't be a problem. Well, the first couple blasts attracted a bunch of zeds, so I had to run into the back yard. I burned a bunch of them, but the juggernaut kept coming, so I started running around the house to catch him up on the walls. Threw another molotov at him, but it missed, so I ran up and blasted him a couple more times. I finally took him down with 1 shotgun shell left. And THEN, when I finally got back to my truck and started driving off, I heard another juggernaut roaring. gently caress that Enclave. They can deal with it or die. Yeah, I always skip besieged missions. Guaranteed juggernauts? An emphasis on doing something that you otherwise NEVER do in boarding up windows? A duration that sometimes exceeds 10-15 minutes? Always I think I was vague in my last post. You still get GENERIC timed missions. Vanilla quest missions (like visiting Job, saving Doc, etc) are gone. I think I found your problem. Enclaves don't trust you more when you set them on fire. Then they shouldn't ask for my help. Getting lit on fire is like a rite of passage for my survivors. It actually wasn't quite that bad. I think I only burned one of the guys once because he wouldn't stop barricading one of the windows in a room, even when a horde broke through the other window and started pouring in, so I rolled out of the room and hurled a molotov back into it (and I did see the "Trust lost: Ally set on fire" message), then shotgun-blasted the room to get any stragglers. And I set myself on fire a couple of times because of the splash from the fire trap things that I'm forgetting the name of. Certain vanilla guns like the M249 light machine gun and BZ 75 ST were previously missing from the loot lists entirely, they've been re-added and are now able to spawn in the appropriate places. Trying to find that, I stumbled upon the SoD Nexus (I was just using the official forum and didn't even know there was a State of Decay Nexus). Luckily, I haven't stumbled across anything terrible like a "White Marcus" mod, but I didn't look too hard. Gazing into the abyss and all. Anyway, Upgrade Built-in Facilities sounds like something you might be interested in. I am, now that I've seen it. 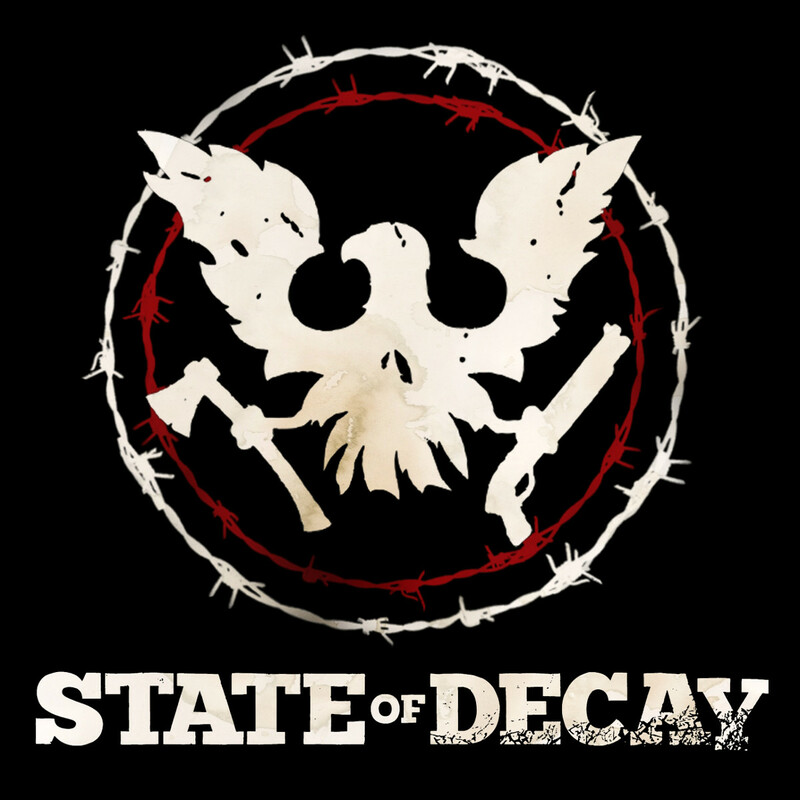 Unrelated to mods, I can't believe it took me until a few days ago to see the skull in the State of Decay logo. The round curves in the wings are the eye sockets, the tail feathers are the teeth, and the bit in the middle is the nose. Can be used to pull objects/entities towards your character. One step closer to a great crossover of SoD and Just Cause 2. Trying to find that, I stumbled upon the SoD Nexus (I was just using the official forum and didn't even know there was a State of Decay Nexus). Luckily, I haven't stumbled across anything terrible like a "White Marcus" mod, but I didn't look too hard. Gazing into the abyss and all. I was expecting much much worse. I beat this game about a week after it came out and never touched it again. Is it worth coming back to? There's a fair bit of QoL improvements like being able to load things into vehicle trunks and such and the breakout DLC is basically what the game should really play like. No story just strict survival. The lifeline DLC is also nice but a bit buggy. Focuses on base defense and playing from the armies POV. I was in the same boat you are. Played it for a week on xbox than never went back. For $10 you get everything including the dlc during the sale and I haven't regretted getting it. The DLC is especially worth it for returning players and you can get mods for the pc to spice things up. Just picked up the game, enjoying ti so far... until I get to the bit where you're supposed to climb up the side of the river. My dudes won't climb up after me and just run back and forth like idiots in the river. Help? Why on earth are people boarding up windows on besieged missions? Just go out there and kill them, bring snacks and pills, fire is a plus. Don't fear the Juggernaut, just avoid it until it's the two of you. Bring your heavy weapons expert if you want to trivialize this mission, since that leg sweep is an insta kill on a reasonably wide arc. Actually everyone should be a heavy if you are on breakdown, I still can't find a solid reason for the other two weapon types to exist. The problem is the AI won't do anything other than board windows until ALL windows are at 100% boarded up. This makes them instantly useless... if the 4 of you properly went out and killed poo poo, yeah, they would be trivial. Because heavy weapons have a slow attack speed, and you'll run out of stamina too quickly if you keep doing that sweep attack. Higher levels require a more careful management of stamina. The AI in this game is useless in a fight. If you are running out of stamina with heavy, then you will run out of stamina with any weapon. You should really only be swinging when you will be getting 3-5 zeds in a single sweep. Edit: And the attack speed is fine, you just have to judge it right. The main issue is it leaves you open for a fraction of a second after the sweep, where you can't roll or body slam anything. Because ~my immersion~ is a serious matter in an action zombie survival game. Are you dudes just barricading and sitting? I always open the front door and kill them as they come in, or walk outside and smash them while they're beating on windows. I think you just have to kill certain ones and you're done, because I've never waited 10 minutes to finish one. I've always found the heavy weapons too slow. As the breakdown levels get higher, even small mistakes will cost you. A single bite attack will take off 70%+ health, even if you are mashing CTRL before it happens. If you haven't tried stacking edged + powerhouse, then you're missing out. You'll get 1 hit kills with almost every swing, and you'll be able to control the flow of combat better. I'm personally loving the Powerhouse + Heavy play style thematically, but I haven't tried pairing it with other weapons. I guess I'm boring in that I am doing Powerhouse = Heavy, Men = Blunt, Women = Edged. I don't know why I made those last two choices. Who keeps putting the street signs back up? Actually, they're on a timer. I play with all of the special zombies off and with zombies only able to walk and the sieges end before the zombies even get to the house every time. How is this mode even fun? I did the same but quadrupled the number of zombie spawns. It's insane. I basically can't scavenge entire houses and on several occasions needed to pack poo poo and leave asap when zeds started lining up at the door. 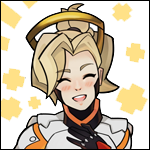 It's so fun because it actually means that I get to use some of the items and skills I never would've like diving through windows and even barricading to buy more time. Mines and explosives are a good send for hordes. I'll enter a house quickly clear it and since I'm making all this racket 20+ zeds will slowly shuffle towards you and start breaking doors and windows. It's really intense. Need to mod out running and special zeds like that poster did though otherwise it just gets annoying. Sounds interesting... I might try that. I've killed over 100 zeds in one house when each head I sliced off seemed to spawn 2 more (Alicia Crasman FTW), those fights were intense, but without ferals would making having more of those less stupid due to ferals. The best part is that it discourages cars and encourages stealth. I've actually taken to running supplies on foot as the car would attract 50+ zeds otherwise. I'm surprised how much more fun the game is when cars are not really an option. It also makes distraction items worth their weight in gold. If you plan on setting an outpost or clearing an area for scavenging having some way to herd zeds away is almost necessary. Is leveling Shooting worth it? I just sat around with the starting army lady with a hunting rifle and 40 rounds at Snyder's platform just to train up from 2. I got Shooting 5 and Rifles 2 by the end of it, and didn't feel that either skill helped aiming for heads, which was [i]excruciatingly difficult[i], as apparently the mouse sensitivity gets all hosed when aiming a gun so the reticule jumps like 50 pixels at a time. How am I supposed to aim at heads from any sort of distance without having to empty a clip? Melee is so much easier and satisfying so far, it's like a whole different game. They never changed anything when porting it to PC, so the shooting aim controls are more fit for a controller. There's cursor snap to zed heads at certain distances. Hell, even rifle spec. gives aim snap distance increases. I don't think aiming kb/m has any auto-aim or anything, effectively making it useless. It's really easy to aim with a controller in comparison, especially when you have zombies a few feet from you. Snap to head, shoot, dead. Repeat. Yeah, rifles are pretty much useless, but getting shooting up to 7 is worth it for the bullet time effect. Being able to chainlink headshots together makes clearing hordes pretty easy, especially with a suppressor. Pistols are really good for that, also assault rifles for the magazine size. Just make sure you set it to semi-auto- there's really no reason to shoot fully auto unless you like wasting bullets. I wish LMGs had more use. All they're really good for is drawing more zombies to you. Also, that zombie spawn mod sounds cool. I think I'll remove freaks and do the quadruple spawn mod for my next breakdown play through. There is one LMG that is really useful, one of my favourite weapons. Can't remember the name, but it's about 10 lbs, holds 100 rounds in the clip, and uses 5.56mm rounds. Can have a suppressor attached. The best part is the 100 round clip, as you can forego carrying any additional clips of ammo and just feed off the clip in the gun. You'll run out of suppressor shots faster than ammo, so you are better off carrying a stack of those. It gives you the option of going full auto if you NEED to, but saves a lot of inventory space for when you don't intend to.